The individual session is a private 60 minute lesson, with the content tailored to your level. Individual lessons provide a unique opportunity to meet your immediate educational needs. It is possible to take private lessons with a friend (duetto), provided all participant have the same level of knowledge of the Italian language. 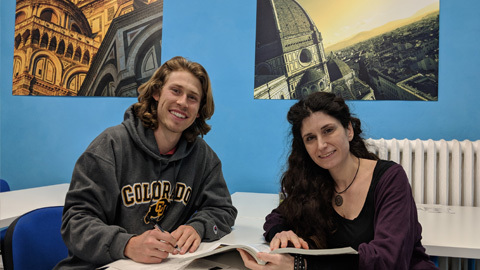 The calendar of classes is flexible; it is possible to attend private Italian language lessons on any day of the year, including on Saturdays and Sundays, by agreeing a time with the teacher.